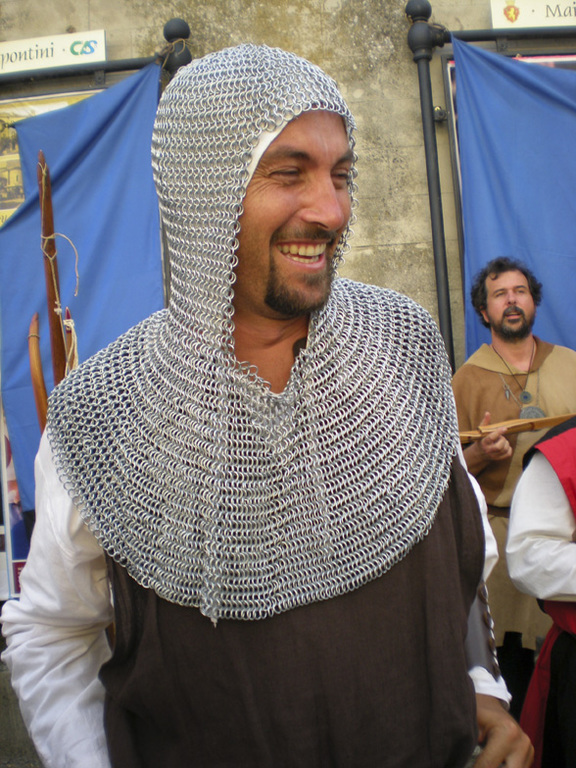 Medieval dress should be appropriate to the period represented by the Association, from headgear to footwear. Rubber soled footwear is permitted for safety reasons. will be required medical certificate. Bladed weapons from wire cutting and tip are not permitted. Mobile phones must be turned off or in silence mode during the event. 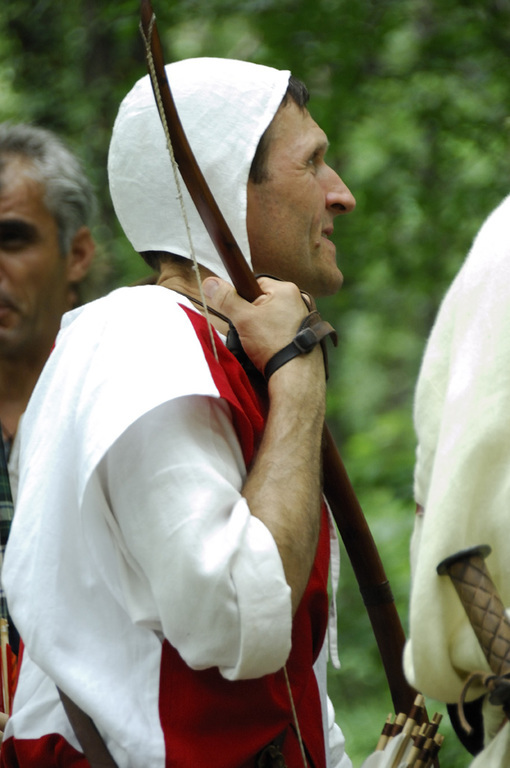 During the event, both Historical costumes and arms will be monitored at the registration confirmation table. 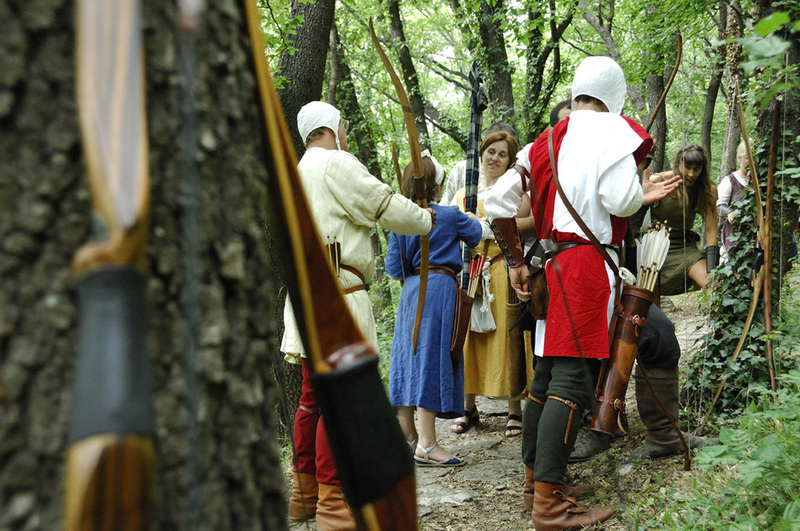 Guests who wear historical costume are welcome. 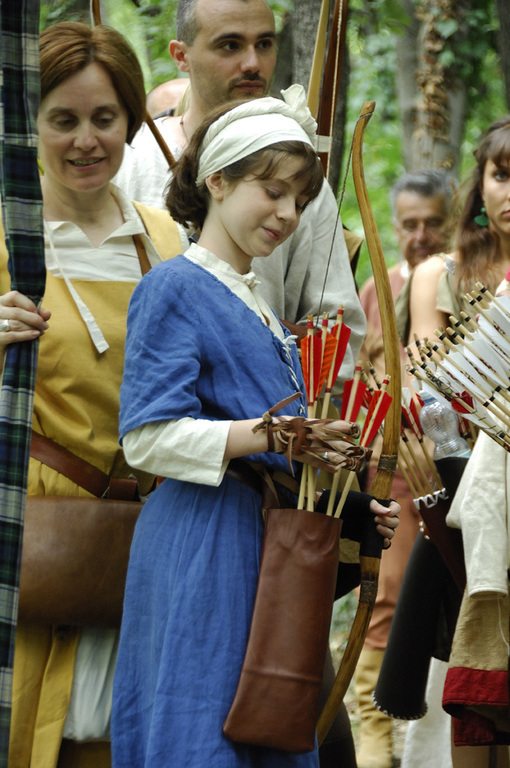 UNDER/10 and UNDER/14 categories: there is no distinction of gender or bow type. UNDER/17: there is no distinction of gender. Number of enrolment in a category is not a factor in the awarding of prizes. PLEASE NOTE: birthdates in the “Under” categories are determined by the solar calendar. which contains the arrow rest. 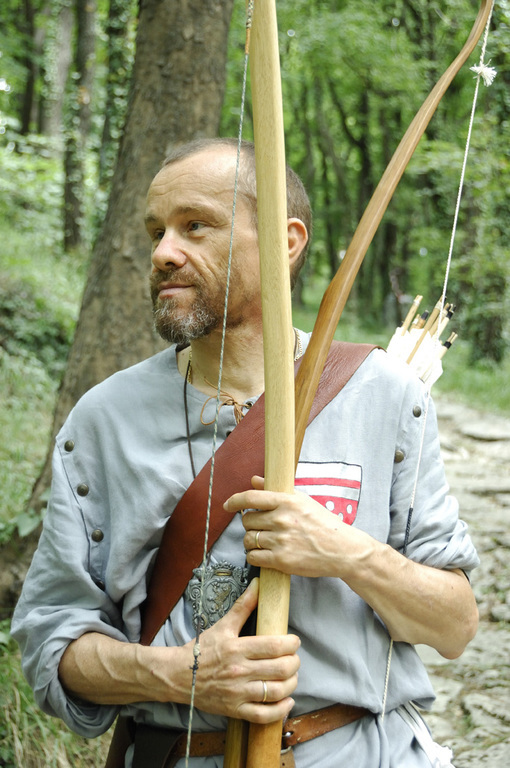 HISTORICAL BOW – Constructed entirely of organic material, not covered, without bow window and only with the help of a shim or with leather or rope on the bow grip. In the case of bows made with materials not fully identifiable, like the Orientals covered, will attest to the written statement of the manufacturer with photographic documentation. HISTORICAL COMPOSITE BOW with and without bow window. Constructed with supplemental modern materials. 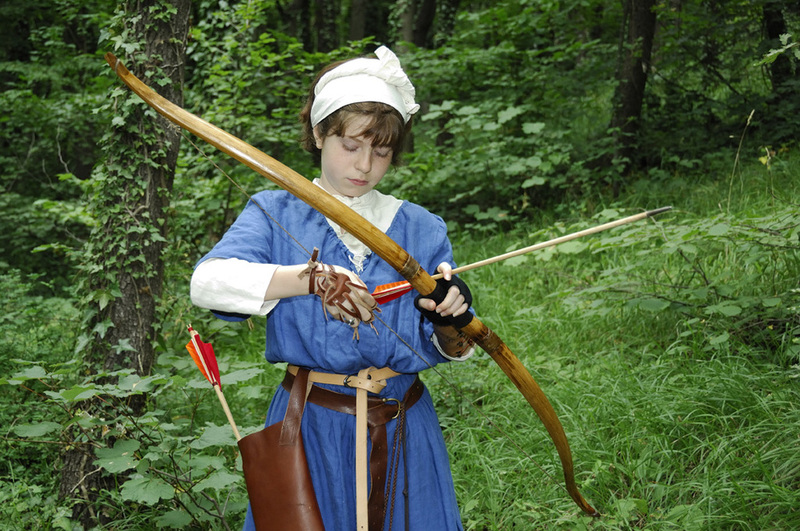 Long-bow and Oriental bow or “Kassay”. The main difference between the two categories will be represented by presence or absence of the bow window. 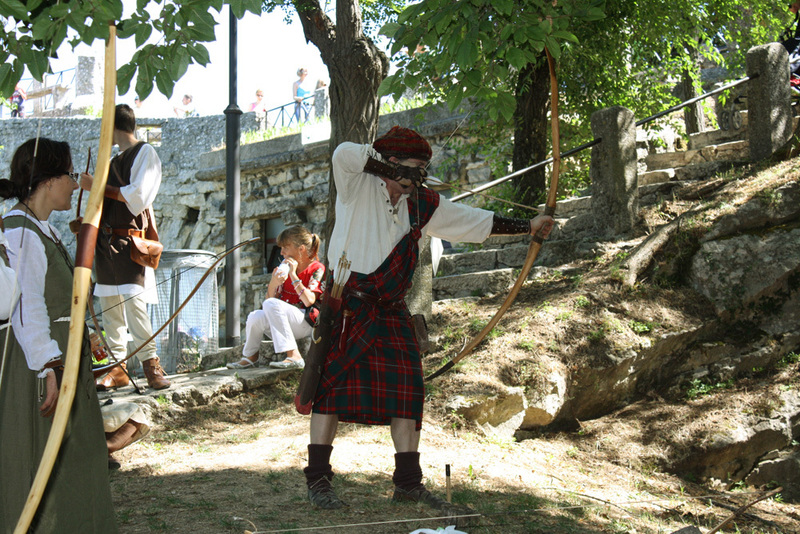 The LONG BOW is a bow covered in fibre with a single radius of curvature and a non-anatomical grip, preferably a straight bow, whose bowstring must have only one nocking point formed of one or two reference points in order to fix the nock, however it must not have a nock-set made of iron. 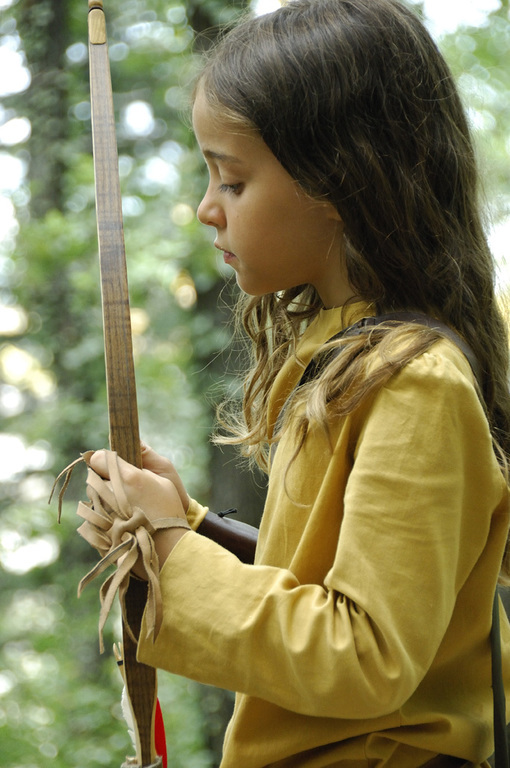 - Neither nock-sets nor dampers may be used at the nocking point of the chord. - Sights (“points of aim”) are not permitted, nor are symbols on the internal face of the bow which aid aim, just as there should be no reference marks on the upper limb of the bow. - The overdraw is not permitted. - Bag arrows that apply on the bow are not permitted. 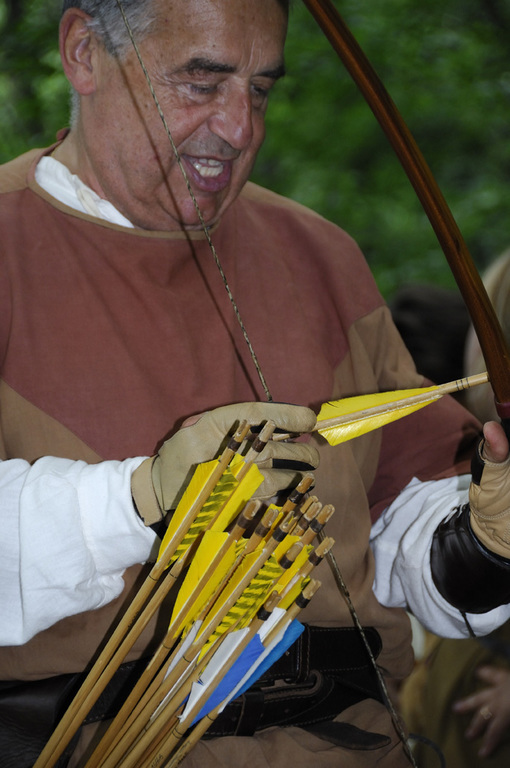 - For personal safety bowstring can be of any material. - Not allowed: Olympic recurve bow, Recurve bow with anatomical grip, and takedown bow. In wood or bamboo with natural feathers and tips in iron (absolutely prohibited brass tips). Bone, horn or wooden nocks (natural materials) carved into the shaft, including those added on. Plastic nocks are not permitted, nor are shafts in aluminium or other materials. The feathers must be of subdued and not fluorescent colours. Feathers plastic and flu-flu feathers are not permitted. For safety it is obligatory to ligature of feathers and nocks engraved on the shaft. Reference marks on the shaft as a support for the extension are not permitted, there must be no signs of reference from the point to half way up the shaft. 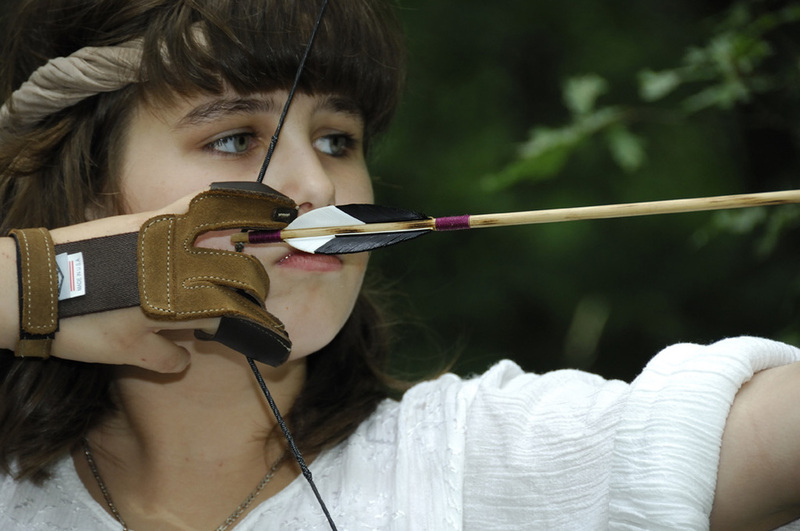 Shooting is instinctive or natural using the between-the-finger technique and Eyes Open. It is prohibited to draw back the chord immediately under the eye. Shooting with nock-sets is permissible when using an Oriental bow. Never load the bow (nock the arrow) from high to low. The shooting position will be 25. Two archers shoot at a time with the exception of 10% of the shooting position where only one can shoot. A shooting position will not be set up where this arrangement is not possible. The distance will be a maximum of approximately 18 metres. This distance, however, will not be exceeded by more than 10% - 20% of the targets present. 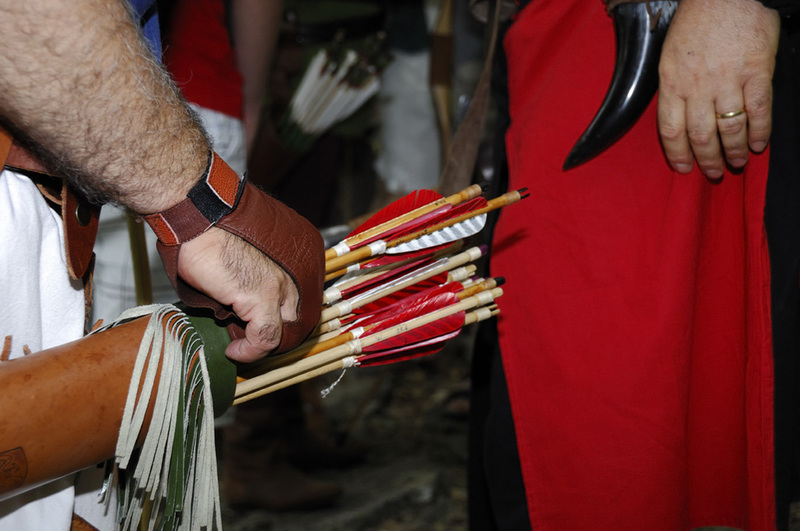 If an arrow falls to the ground at the line of shooting during nocking, repeat the operation. If the arrow goes through the target, the point is VALID. 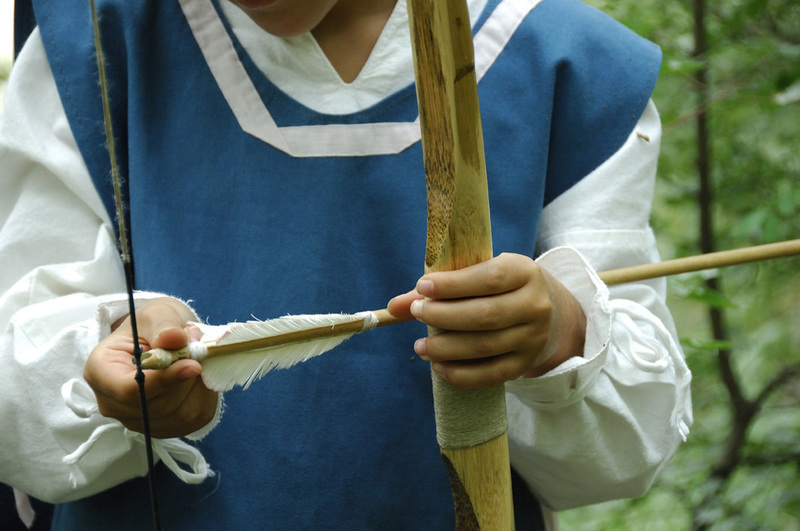 The targets will be made in such way that this will not happen, as the target will be backed up by a “bundle” made of hay and wax, one palm distant from the actual target, making sure the arrow remains stuck to the target, allowing no doubts to the validity of the point. If the arrow falls afterwards because of a successive shoot, the point is VALID. If the arrow hits the nock of an arrow already in the target and remains there, the point is VALID. If the arrow hits the dividing line between two scores, the superior score will be counted. 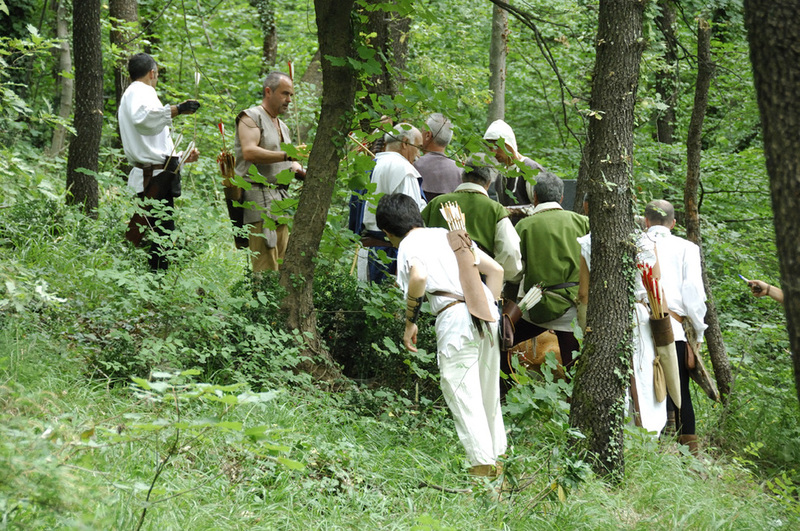 There will be a designated area set aside for CRAFTSMEN who wish to expose their medieval products. Please specify the necessary space. The sale of food products is not permitted. The cost for the two days, Saturday 18 and Sunday 19, will be 50,00 euros to be sent to the L.A.M. secretariat within the same deadline and in the same manner established for the M.A.E.C. participants, both Italian and foreign. For this purpose, there will be an appropriate section to complete on the registration form. All participants in the M.A.E.C. are obligated to adhere scrupulously to the rules and regulations specified above. The scores of both competitions is add up. Regarding the category title for individual archers, the first 3 will be awarded, while only the first in each category will be awarded by Nation. For the Championship of National Associations, the preliminaries will be played between teams of 3 archers for each nation. 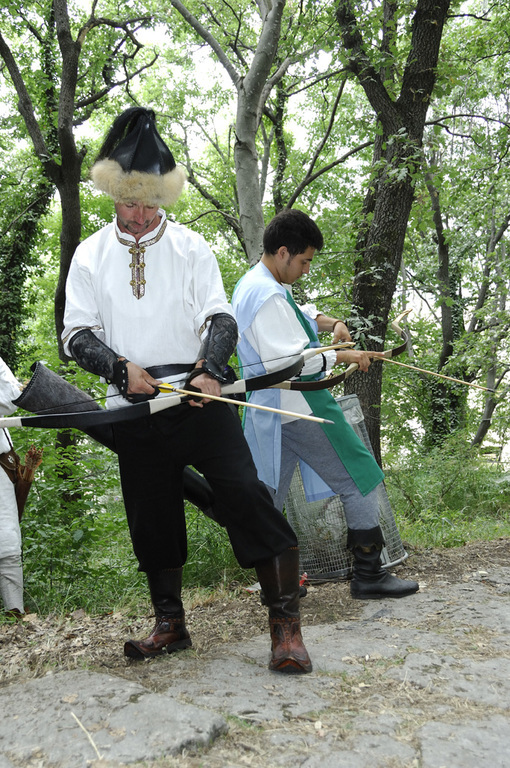 The national teams will be composed by the best 3 archers of each nation grouped in order of points, chosen from all categories with the exception of Under/10 and Under/14. The final round for the Championship of National Associations will take place in Cava dei Balestrieri. The awards ceremony and the closing ceremony will be held at the Piazza della Pieve. The Historical Event will be inserted in the official L.A.M. 2015 calendar. The participation to dinner organized for Saturday is optional, those who want to participate will have to make a reservation, by entering the preference on the registration form. The cost of dinner is €. 15.00 per person. On Saturday, during the competition, food and drinks will be a fee at merchants. 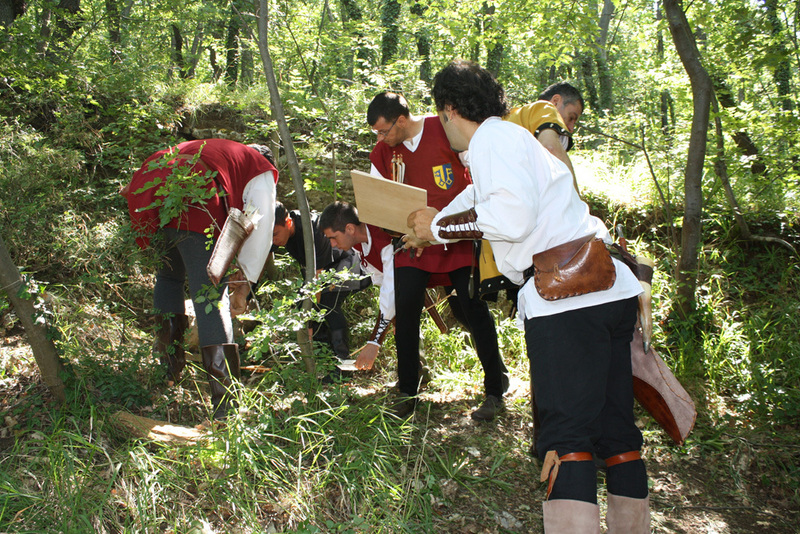 On Sunday afternoon, a medieval buffet lunch will be offered by the Organization in a covered area, at the Gallery of Carisp (Cassa di Risparmio di San Marino) adjacent the Cava dei Balestrieri. The Dressing rooms for changing clothes are at the Teatro Titano. 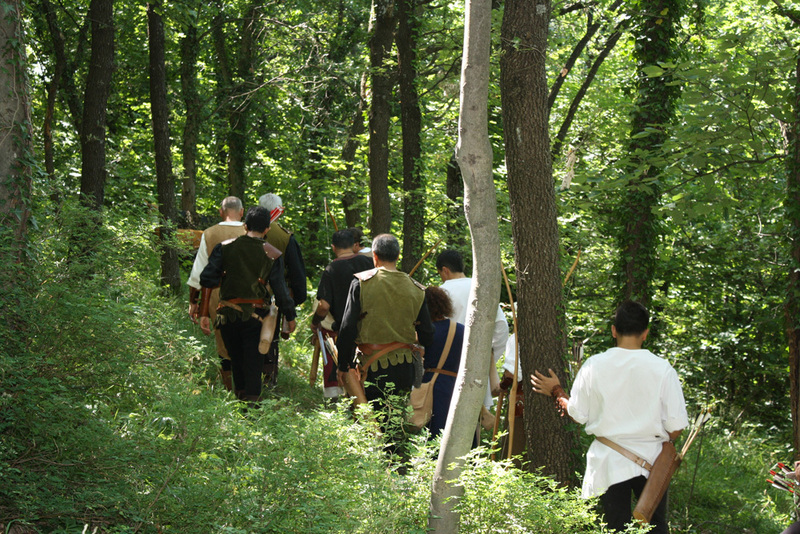 "Few rules and norms for the successful operation of the manifestation, joined with the behavioural code that each of us has by now acquired during several years of historical recreational sport activity in the field of archery, will ensure that the "spirit" that unites as will result in positive personal growth. These simple regulations aim above all to bring us together in friendship and to make sure we pass pleasant, carefree days in harmony "